What is a family practice doctor? What does a family medicine doctor do? A Family Medicine doctor specializes in providing care for all members of the family, and offers treatment for most medical problems. A Family Medicine Physician can provide all over care from acute/urgent illnesses and injuries to chronic disease states such as high blood pressure and diabetes to mental health issues such as depression and anxiety. Dr. Merola focuses on the “wellness” aspect of healthcare, drawing attention to preventative measures such as healthy habits with diet, exercise, and a well-rounded lifestyle. She can perform minor procedures in the office and has specialized training in surgical techniques. Dr. Merola enjoys the long term partnership in care she has established with her patients. Do I need to be seen by the doctor? Over 1 year since your last physical exam. You believe you need a change of medication or strength of medication. An illness or injury that is not well controlled using over the counter medications/therapeutics. Patients needing signed documentation for a sports physical, life insurance, or accident. Note: Dr. Merola is not currently seeing disability evaluations or workman’s comp. Some medications require close monitoring, and office visits will be done more frequently. Second opinions or referrals to specialists. A follow up to an inpatient hospital stay or surgery. 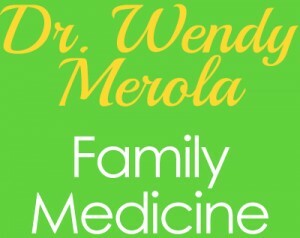 To provide patients with excellent medical care, any patient who is on a long-term medication must see Dr. Merola every 6 months for a medication review. You will get enough refills to last you until your next visit. If having to do a month to month medication please contact your pharmacy and they will send us a refill request form. Yes, please! We understand your time is precious, so please call ahead to let us know when you’d like to come in for your routine lab work. Also, some lab tests are more accurate when they are done fasting (nothing to eat or drink except water for at least 8 hours), so lab work is usually scheduled for first thing in the morning. What do I do if I get ill or injured when the office is closed? If you have a life threatening medical emergency, CALL 911! Otherwise, you can call the office and follow the prompts to contact the after hours physician. There are also a number of urgent care facilities that have convenient after hours appointments.